Twitter is tricky to use. 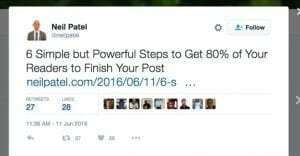 Even industry giants tend to fall in the trap of overly automating or repeatedly posting the same kinds of tweets over and over. If you’re using it as a celebrity for one-sided broadcast marketing that’s fine, but it’s better if you’re human and engage with your followers. It’s even better if you vary up the kinds of posts you make. 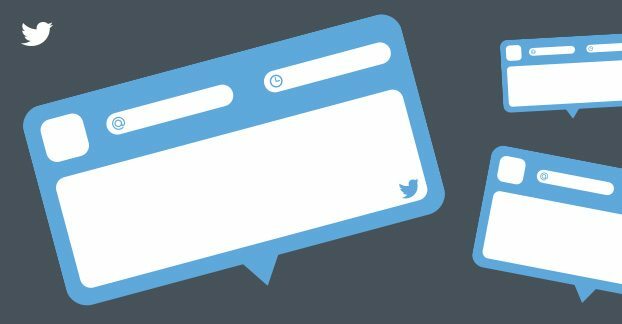 [tweet_dis]I’ve put together a list of template-style tweets you can adapt and make on your account[/tweet_dis]. Try to use most or all of these throughout the month, to keep your account varied and your content fresh. Once you go stale, people stop engaging, and your returns from Twitter drop. We can’t have that, can we? This is probably the simplest possible option when it comes to tweeting for a blog or a business. 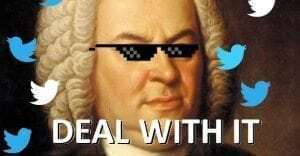 [tweet_dis]You post the title of the blog, you post the link to the blog, and you’re done[/tweet_dis]. 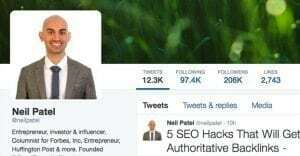 To see it in action, look no further than Neil Patel’s Twitter account. You may notice something about this. Every post he’s made – several a day, some days – is in this format. He runs a lot of sites and contributes to even more, and he posts whenever he publishes something on one of them, and he occasionally retweets something one of his contributing authors posted. There are actually a few problems with this. First, it’s not visual. He has 12,000 tweets and 1,100 images/videos on his account; not a high rate for a modern marketer. He also has over 200,000 followers, but his posts average engagement in the 20s. Not 20 thousands, mere 20s. That’s only one retweet for every 10,000 followers. Not a very good rate. This is the first example on the list with a hashtag. I’m not going into what the different kinds of hashtags are in this article, but you can see a rundown in several others on the site. This is very much like the first example, in that it’s directly marketing something interesting. There are two major differences, though. First, it’s not just blindly reposting the title. Instead, it’s reaching out to an influential member of the industry and community, in a way that is designed to get their attention and share the post. Second, it’s made to give the user value, not to benefit you. You can get value out of this by sharing posts you didn’t make, but which the influencer is more likely to want to share. They share your post, they engage with you, you build a relationship, and you benefit. You benefit even more if you’re sharing one of your own posts, but you can’t do that with every tweet you make, otherwise you come off as shallow and self-centered. This is another creative way to drop a link to a blog post without coming off as nothing but self-promotional. It’s one of many possible variations on the same theme. I picked a TV example here – well, I used “tv example” as my tv example – but you can do it with all sorts of things. Current events, trends on Twitter, local events, really anything that has a significant amount of traffic and centers around a hashtag can be used here. The one thing you have to be careful about is improper news-jacking. When you use this technique on a current event or short-lived trend, it’s called news-jacking. When you do news-jacking wrong, it can come off as crass, offensive, or downright rude. You can see dozens of examples of this with various social media fails, from the DiGiorno #WhyIStayed fiasco to the NRA “happy shooters” tweet on the morning of a mass shooting. There are fresh examples every year, and you don’t want to end up on one of the lists. This one is important as a non-linked-based strategy. [tweet_dis]You’re doing more than just broadcasting a link to a post or trying to hook in an influencer; you’re actually drawing in an audience[/tweet_dis] and related discussion with this one. There are three components to this tweet. The first is the contest itself. You have to actually be running a contest, of course, and ideally you’ll be linking to a page that has details about the prize, the entry method, and other information. The second is the copy, which is the purpose of the contest. In this example, it’s a holiday, which has been converted to a hashtag just to reach a wider audience. This will be one of many tweets about your contest, so you can afford to experiment with different audiences. The third component is the branded hashtag. These tags are important because they incorporate your brand or your campaign name in some way, which helps you keep track of conversation, entries, and questions. It’s important that you pick a tag that hasn’t been used before, or if it has, it was only used for the same promotion or contest the previous year. This is an example of a manual retweet. [tweet_dis]This is distinct from a site-based retweet in that you copy and paste the content of the original tweet and add your own thought to it[/tweet_dis], rather than pressing the retweet button. The only functional difference is that your followers see your account information around the tweet rather than that of the original poster. Whether or not you use a manual retweet really depends on how much you think the original poster’s presence would hurt your performance. Honestly, with the way retweets work these days, manual retweets have fallen by the wayside. The modern retweet often shows your own comment as a tweet, and the tweet you’re retweeting as a sub-tweet. This only applies if you add a comment, but why wouldn’t you? You’re sharing it to add value, so add some value. What kind of value should you add? Depends on the context of the original tweet. If possible, replying to it publicly with a link to add value is great. Otherwise, a simple, insightful comment is generally more than enough. There’s one thing that sets this particular tweet template apart from the rest, and it’s obvious when you look at the example URL I made up. It’s not a valid URL, Twitter uses random characters rather than words for their image links, but otherwise that’s what you would see. All my other URLs, by the way, use Google’s example.com, though none of them are using real links as far as I know. The fact that punchline is a hashtag is incidental to this post. You should use a hashtag if you can, just like you do in every other tweet, but the main focus of the tweet here is the image. There are a billion different sorts of images you can post, and what you post depends on your brand. A casual brand can post jokes, a life improvement brand can post motivational quotes, an industrial brand can post machinery, a toy store can post new products, and a whole lot more. No, I’m not going to leave you hanging. 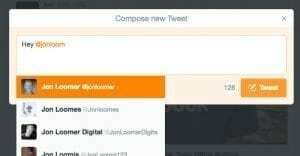 Perhaps at some point I’ll write a post about optimizing images on Twitter. For now, you’ll have to suffice with something else, like this particular guide. This is an example of a way you as a brand can add value that no one else is able to add. In this case, it’s giving your users a bit of exclusive content they can’t find anywhere else. Think of it like producing an episode of How It’s Made for your own product, or giving insight into the way your company works, or otherwise providing some kind of sneak peek into an area that is normally off-limits to the casual customer. If your brand or your product isn’t really that interesting, or the process is transparent enough such as to be not new or interesting to most users, you can hook up with clients to produce content that way. HootSuite did exactly that a few years ago – and probably several times since – by producing a behind the scenes piece of content about sports teams they have as clients. The important part of this whole template is that you’re bringing something to the table that isn’t otherwise common to find. This example takes us back to our roots in the very first option. It is, once again, a way of sharing your own blog posts. However, there are a couple of notable differences. First, the copy here has a specific made up statistic. That’s key to using this template; you need a specific bit of data, a specific number to bring to the table. You want to make it seem like a real result, not just a ballpark 200%. Unless, of course, you have measured exactly 200% growth. Twitter is a social network, and social networks thrive on engagement. It’s a two-way street. Most of the above are ways you can promote off-Twitter content, but you also need on-Twitter content to round it out. In this example, we’re hosting a hypothetical question and answer session scheduled for a specific day. The Q&A session should probably be hyped up a little sooner than the day before, but that’s for you to decide. [tweet_dis]The goal here is to get a lot of people using a specific hashtag[/tweet_dis], that focuses on the event or the topic in question, to ask you questions that you will ideally answer the next day. Your job is to spend the next several hours compiling the questions and figuring out satisfactory answers for them. Easy ones can be answered on the spot, while more complex questions can have a boiled down answer and a reference to a TwitLonger, Ask.FM, or blog post. Now, every single option in the first nine is a template you can post that will be visible to your entire feed. This one is special, because it starts off with a @username. This makes it a reply, which means that unless it’s retweeted or edited to start with something other than @, it’s invisible to everyone except the user. This is here because customer service is possibly the most important aspect of Twitter, above and beyond all of the other content. Marketing is good, but the best marketing is a satisfied user, and you satisfy users by providing the best products and the best service you can. It’s not important to broadcast your service here. All you need is for people to know they can contact you on Twitter when they have an issue. That, and a fast enough response time that people feel contacting you on Twitter is effective. With those two things, you’ll grow homemade brand advocates in no time.